The first thing you should do is sign up to SAP Cloud Platform (SCP), signing up to SCP will let you deploy and build applications in the cloud. By clicking this link you can sign up for your free account that gives you access to a suite of developer tools and essentially let's you play around as much as you like with SAPUI5! Now that we've cleared the pre-requisites, we can download the IDE! Your workspace will be a folder inside of this directory called serverworkspace, I would keep back-ups of this folder if you aren't using source control! Note: For those that don't know, localhost is analagous to the ip 127.0.0.1, so you can also access the IDE from http://127.0.0.1:8080. 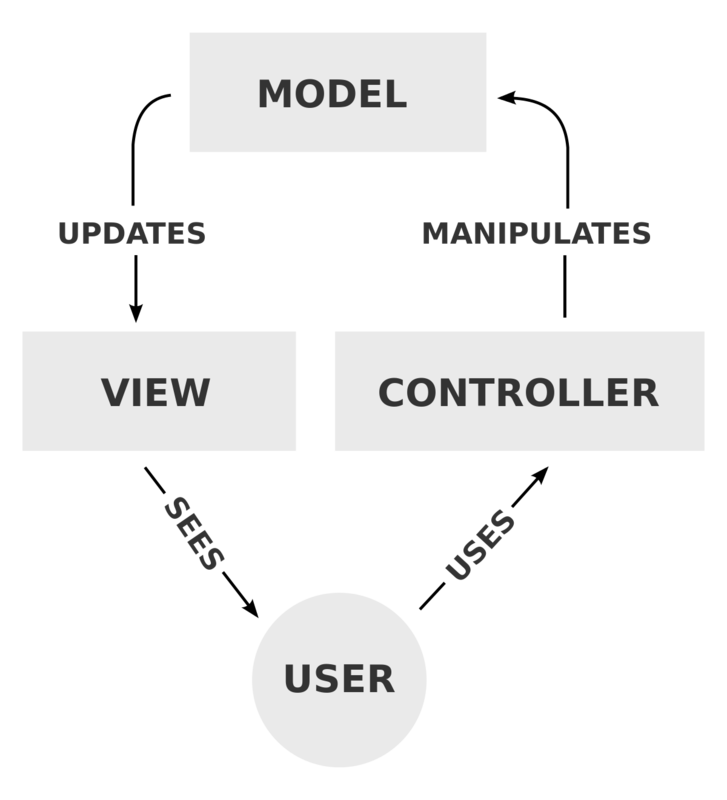 As you can see in figure 1 above, this is the basic workflow of an MVC application. The user's actions are routed to the Controller, which in then manipulates the Model. The Model updates the View, which is what the user sees and interacts with. In a SAP project there are a number of folders and files that you will not recognise if you are not familiar with MVC. Let's have a quick overview. Within a given project, you have three core folders. What are they? You guessed it: Model, View and Controller! If we create a single page in our application, let's call it homepage, then there will be a model, view and controller for this and for every other page you want to create in your application. Note: An incredibly useful resource is the SAPUI5 Explored, it provides a comprehensive list of UI5 entities as well as examples (including code) of how they are used. It's just like a developer network for a language and I will be referencing it throughout this section. Open up your IDE for developing the application, if you're using the SAP Web IDE then we want to click 'New Project from Template'. This will open a dialog and you should select the tile that says 'SAPUI5 Application', this will give us a simple bare-bones application. At this point you will enter your project name (whatever you like, I'd call it 'playground' or something similar) and click finish. Clicking this will build a basic run configuration that will run the application when it is selected and you click run. We'll get into other run configurations at a later date. For the purposes of this tutorial we won't be editing the controller or model. We will only be editing the view to get used to importing UI5 controls. Let's add another namespace for UI5's Layout. In your initial View tag, add the following line: xmlns:layout="sap.ui.layout". Now that we've got the namespace available to use, let's add one of it's controls to our view. Now have a brief look through the SAPUI5 Explored site and find a control you'd like to use in your project. Found one? Good! I'll be using the 'Add Bookmark Button' action control. That's all for this post, if you have any issues drop a comment and we can sort out your issue! There will be more SAPUI5 tutorials coming out as I explore it more, so keep your eyes peeled.